The Twin Sisters Native Plants nursery is dedicated to restoring the earth's ecological balance for the benefit of all creation. Through the collection of seeds and the sale of plants, shrubs, trees, forbes and grasses, we can ensure the success of vegetation growth for restoration projects, contract propogation and community beautification projects. Twin Sisters Native Plants Nursery collect seeds from the around the area to be reclaimed. 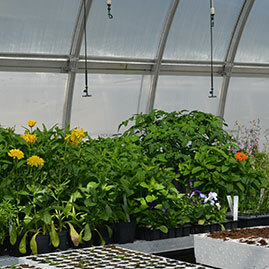 Once the area is ready for reclamation, seedlings are prepared in the greenhouse. Seedlings are transported to the site to be reclaimed and are planted as part of the overall restoration process. Choose plants, shrubs and trees from here, grown here. 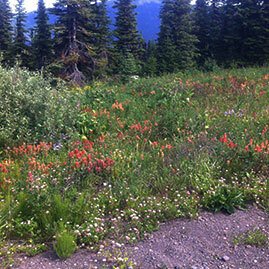 We collect seeds for our clients that are native to the various regions in the provinces of British Columbia and Alberta, as well as the rest of Canada in order to grow plants, trees, shrubs, forbes and grasses that can be planted back into their natural habitat. Unlike traditional reclamation practices that can involve the use of non-native species which can inhibit the restoration of the land to its natural state, ecological restoration uses native plant species to minimize the environmental impact and return an area to it's original state. Minimizing the impact on the environment. 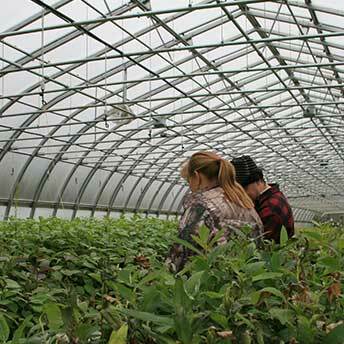 Increases in industrial activity in the province have shown a need for the adoption of restoration plans that involve the use of plants, trees and shrubs that occur naturally in the affected area. Through seed collection we can grow plants to replace what was disturbed or displaced, helping to return the area to it's orginal state. 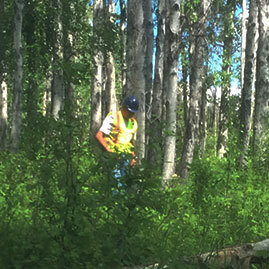 Providing world-class ecological restoration services.